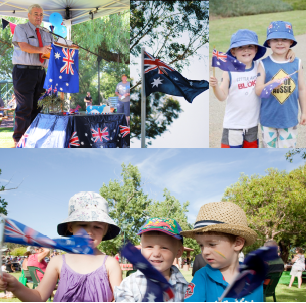 Join us to celebrate Australia Day 2019 in Ganmain. Kicking off with a free community BBQ breakfast from 8.00am with the official Australia Day Ceremony starting at 10.00am, where local citizens will be recognised for their valued contributions to the community. This year the Coolamon Shire Council are proud to welcome our 2019 Australia Day Ambassador Kath Koschel. Kath, a former NSW cricketer, is the founder of the Kindness Factory. After overcoming significant hurdles, Kath is now known worldwide for her Kindness adventures, and shares her journey of how she turned adversity into triumph through motivational speaking.